Love these big old GM cars from my youth. 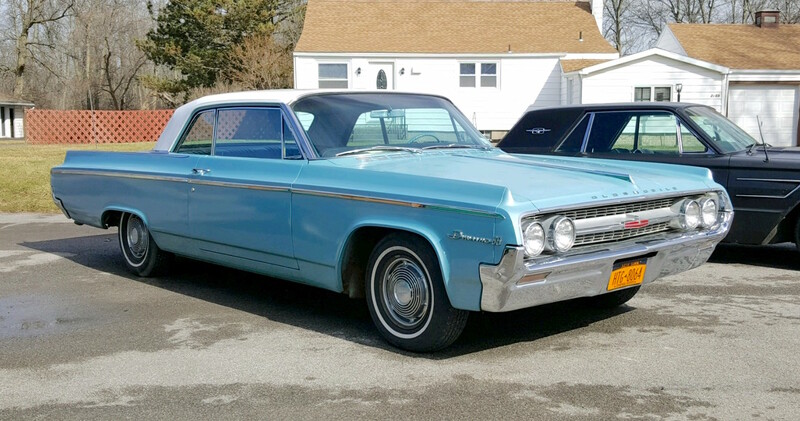 This one’s a 1964 Oldsmobile Dynamic 88, seen a few weeks ago on Grand Island. It wasn’t the cheapest full-sized Olds you could buy in 1964, nor was it the most expensive. But it was the only big Olds available in all of the body styles: four-door sedan, two- and four-door hardtop, convertible, and station wagon.